Our top-quality sparkling rhinestone designs will keep all eyes on you! Women of all shapes will appreciate our Modern Stretch Cotton Collection. With an updated fit and figure-flattering details, the extra soft cotton is combined with a dash of spandex to retain shape—and make the most of yours. We've added extra length throughout the body for clothes that move with you for exceptional comfort all day long. This essential v-neck is ideal on its own—or perfect for layering. Attractive design combined with a well made garment, makes this a winning combination. 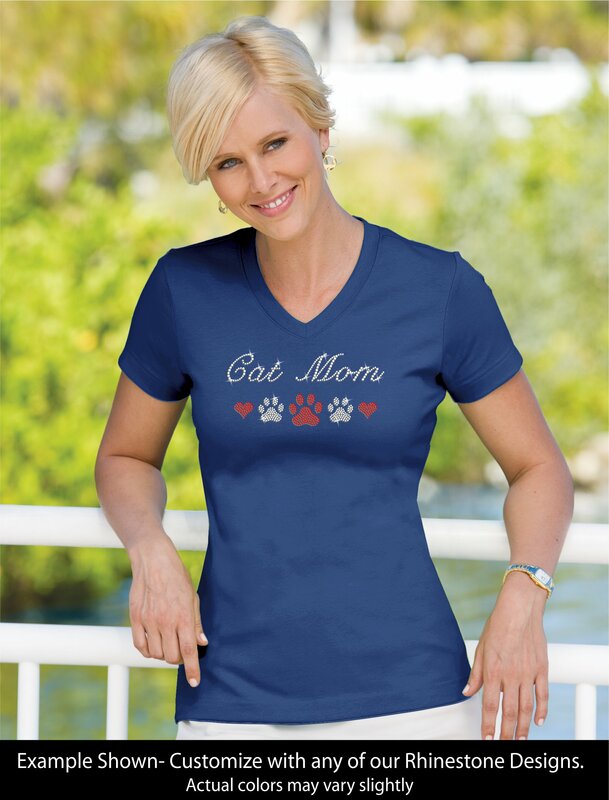 It’s sure to please any cat Mom. Order yours today…you’ll be glad you did! Click to view our complete line of rhinestone hooded sweatshirts. 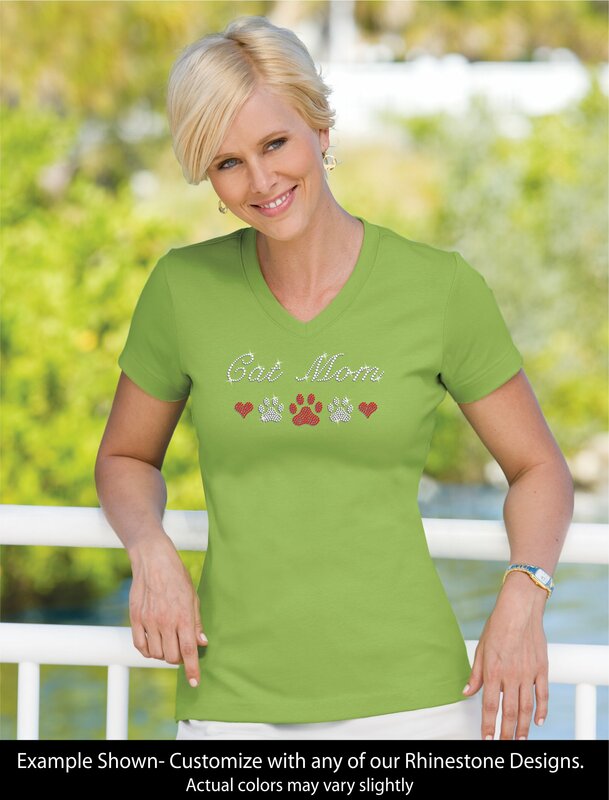 Click here to view a sample of our breed specific designs, popular phrases and loving sentiments. Regular Price: $44.95 ON SALE NOW!